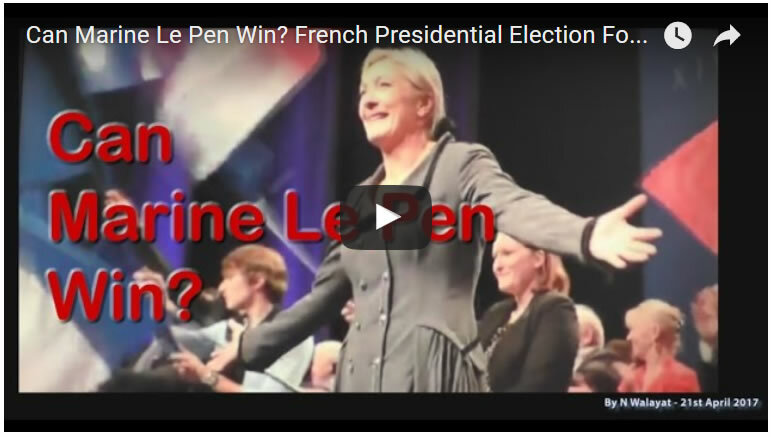 The general election appears to be fast accelerating the evaporation of the calm before the Brexit storm as negotiations appear to be breaking down even before they were due to be begin following the outcome of the 7th May French Presidential Election. It started early week following the leak of last weekends lunch between Theresa May and European Commission unelected President Jean-Claude Junker that saw the continents europhile press put an anti-British spin on the meeting. Saturdays meeting having publically been declared a success was soon followed by leaks in the german press that Junker had come to the conclusion that he was now "ten times more convinced that there would be no deal" as Theresa May was seeking a trade deal whilst the EU had their own long list of demands to be fulfilled before any trade negotiations could begin such as an up front payment of at least Euro 60 billion that keeps increasing with each passing week. Whilst Junker's statement that "BrExit cannot be a success" says it all about what the EU plans for a rebellious Britain. 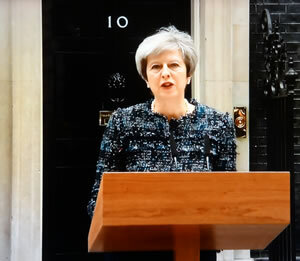 Theresa May after initially brushing aside the reports in the German press as inaccurate on Wednesday went on the offensive following realisation of the insidious game that the EU was attempting to play in attempts at subverting the outcome of the UK general election in the EU's favour and thus weakening Britain's Brexit negotiations. But the events of the last few days have shown that – whatever our wishes, and however reasonable the positions of Europe’s other leaders – there are some in Brussels who do not want these talks to succeed, who do not want Britain to prosper. Meanwhile the latest out of the super state are warnings of the Euro 60 billion exit bill now having been inflated to Euro 100 billion as each member state bolts on their extraction of a pound of flesh from Britain on the way out. For instance France and Poland are now demanding that Britain continue paying its full share of the EU budget until at least 2020 AND have no share of EU assets whilst forced to pay for liabilities such as Pensions for the tens of thousands of euro-crats. At this rate the final bill demanded could reach Euro 200 billion. However, Britain can choose to pay nothing by just walking away without any agreement. The bottom line is that the EU wants to agree everything in the EU's favour before negotiations begin on anything in Britain's favour. Which means the EU seeks to punish Britain to make an example to any other member state contemplating seeking freedom from the increasingly totalitarian super state. Welcome to the opening shots of the BrExit War! Whilst the timing may have slightly accelerated due to the impending June 8th General Election, nevertheless my extensive analysis following the triggering of Article 50 mapped out what Britain needs to expect and do to win the BrExit War that the UK will increasingly find itself engaged in with the European Union superstate. Analysis that I am in the process of converting into a series of 10 videos in the run upto the June 8th vote. 1. 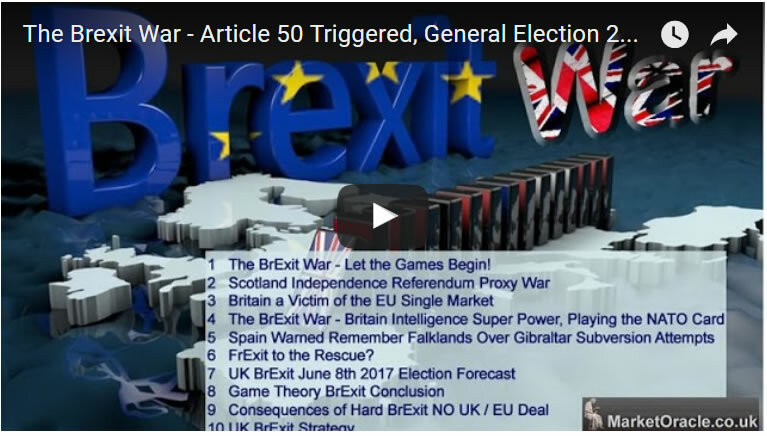 The BrExit War - Article 50 Triggered General Election 2017 Called- Let the Games Begin! Whilst my forecast conclusion remains pending. However given Conservatives huge polls lead it has been crystal clear since Theresa May first announced that an election will be held on June 8th that the Conservatives would win the election with an increased majority. Where the only variable to be determined is how big could the Tory majority be? For if the polls this time turn out to be accurate then the Conservatives could even achieve a huge 100+ seat majority which would be a slap in the face of the unelected euro-crats hell bent on subversion of Britain's democratic process. My forecast conclusion on the size of the Tory election victory will be shortly forthcoming so ensure you are subscribed to my always free newsletter to receive the forecast in your email in box. Whilst the French election continues to counting down to a choice between an elite bankster and the far right , neither of which is good for France but a far right outcome would be better for Britain's BrExit.